Titanium Ball that screws on and off easily - no pliers required and no ball rattle! 1 only supplied in the colour and size that you select, photograph for illustration purposes only. For ages now customers have been asking for some easy fit large gauge ball closure rings (BCR) with non rattly balls in Titanium and now they are available! 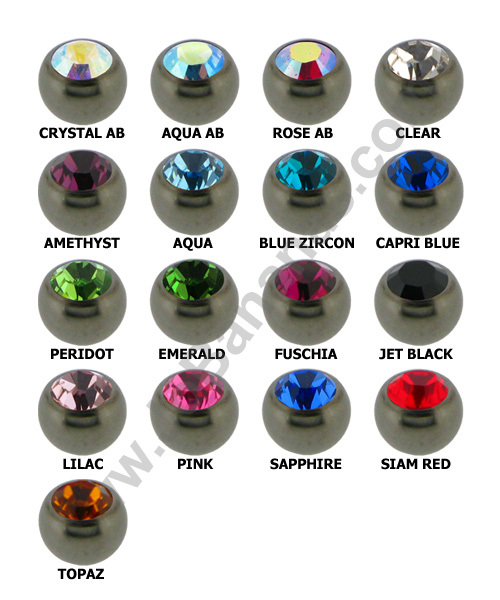 Because they are made out of Titanium they are light weight and comfortable to wear and better still no pliers are needed for these rings, even the largest gauges are much easier to fit than standard large gauge captive bead rings (CBR). The easily screws on and off so you get the look of a traditional BCR with the ease of a screw ball. 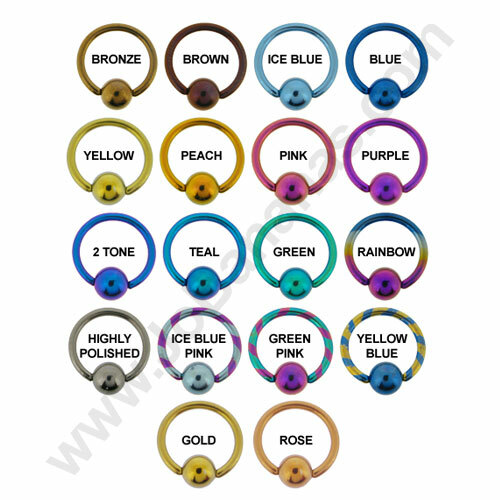 We offer these rings in lots of different Titanium colourways including more unusual and hard to find colours such as Blurple (2 Tone Purple Blue), Bronze, Gold and Rose Gold as well as the standard highly polished Silver colour. They are made out of Medical Grade Titanium 6Al-4VEli ASTM:F-136. 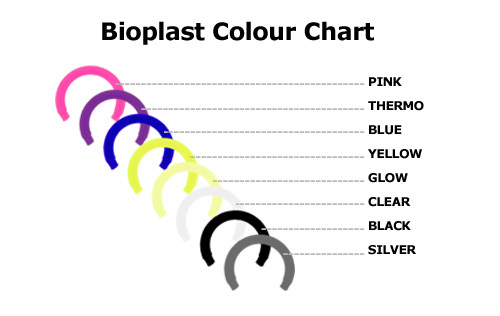 These rings come in highly polished and we then anodise them to the colour of your choice so we have a huge range of different size and colour options available. and will do so in futer! Very good quality. Best customer service from the store!